Cross Winds Boating Center donated use of two pontoon boats. The Army Corps of Engineers operated another and volunteers brought the fourth as well as a skiff. Volunteers were ferried over to Wilderness Island. 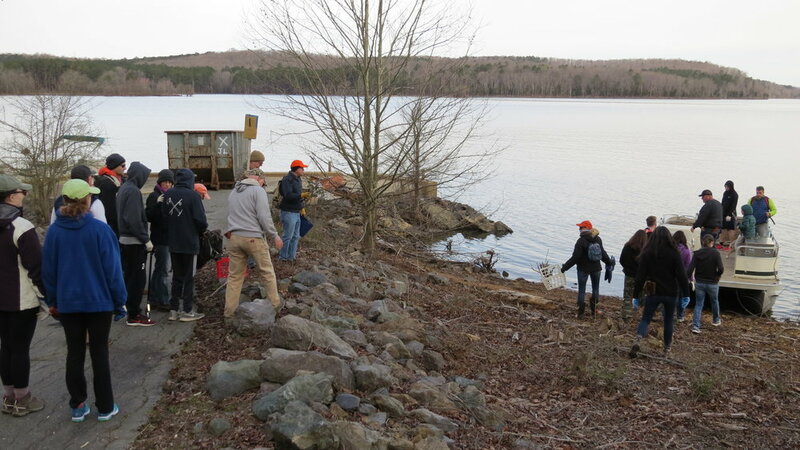 Over 1.5 miles of shoreline were restored to natural beauty. 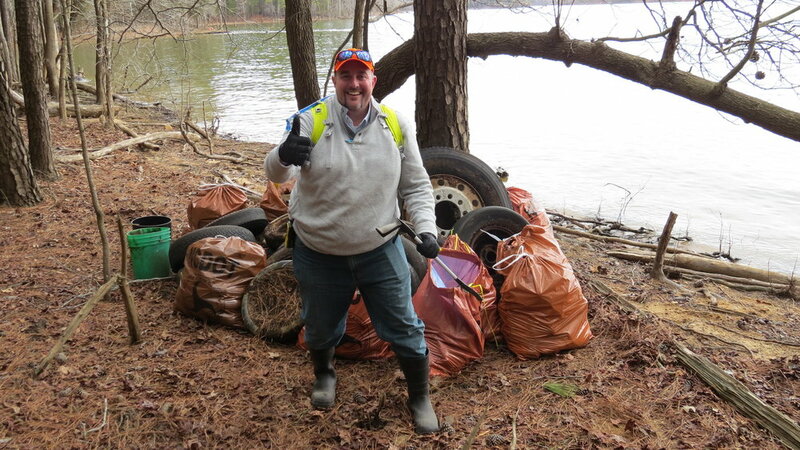 After 2 hours of hard work, 200 bags of trash were brought back to the Army Corps of Engineers Bulkhead. 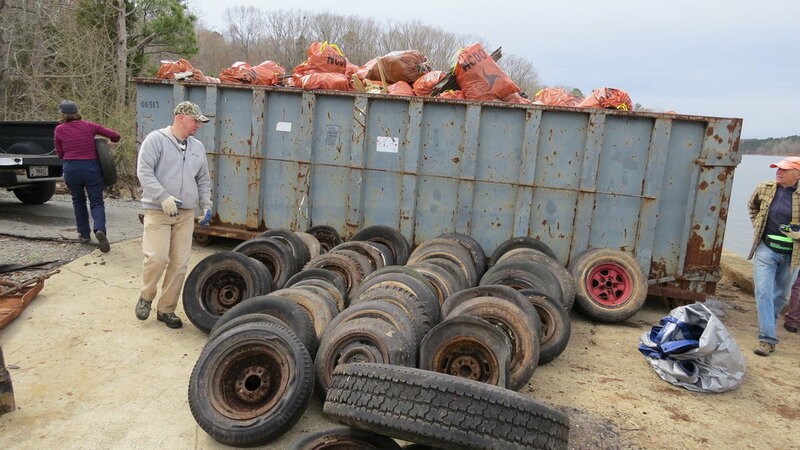 We entirely filled a Chatham County dumpster and added 120 tires to the stack of 150 tires from previous cleanups ready to be recycled through a grant from Bridgestone Americas. Thanks go to staff from the Army Corps of Engineers at the unloading area, Ann D., Eddy D. and Jan S. at the Registration Table, David F., Daphne V., David P. and Carl F. as Track Captains and Jim H., Matt D., Conn H., Jon B. and Dan B. as boat operators. Three of our Trash Treasure Hunt items were found and redeemed for a weekend camping gear rental from Townsend & Bertram, T-shirt and hat from Mountain Khakis and $25 gift certificate from Great Outdoor Provision Company. Among the weird items found were football shoulder pads, a rear quarter of a deer mannequin used for target practice, hypodermic needles and an enormous truck tire on its rim.